Fans flipped out with the newest Kylie Jenner Lip Kit color — but even though the shade is ah-mazing and totally different, it's the name that's also creating some serious buzz. In a slightly unexpected move, the beauty mogul chose to name her newest color after her sister Kourtney, while many thought Kim or Kendall would get a color name nod first. 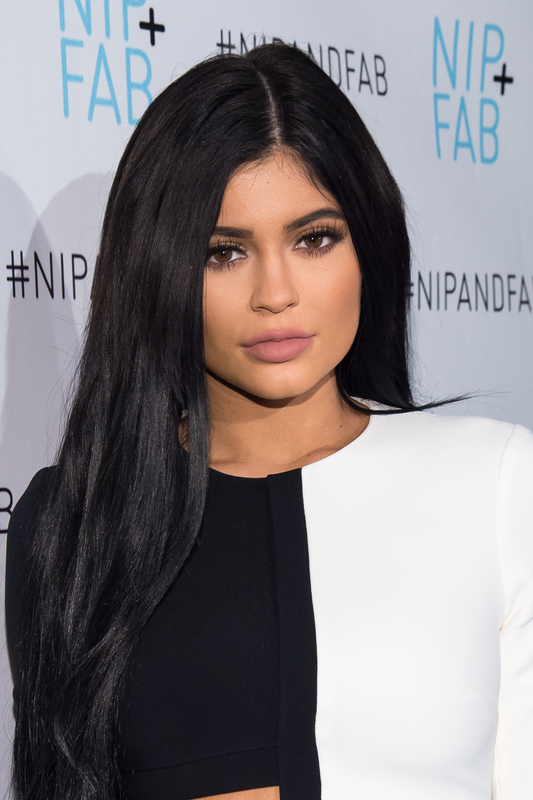 Wondering why Kylie named her Lip Kit after Kourtney? I was too, but it probably makes more sense than we think. ICYMI — Jenner is releasing a new color, Kourt K, sometime before the end of the month, and I have a feeling the gorgeous, deep purple shade is going to sell out even faster than her previous Lip Kit shades have. Everyone is pretty stoked for the dark and deep shade, since it's so different from the others, but the name may be getting even more hype than the color. Not that we don't all have mad love for the eldest Kardashian sister, but she's definitely the most under-the-radar sibling, and many fans had speculated Kendall Jenner or Kim K. would get shades named after them first. So why exactly did Jenner choose to name her new color after Kourtney? Jenner may have plans to name colors after all her sisters. She already released Koko K, a pretty pink hue, named after Khloe Kardashian, and now she's giving Kourtney a turn. If that's the case, Kim K. and Kendall Jenner will be expected soon! Maybe it's one of her favorite lip colors? On a recent episode of Keeping Up With The Kardashians, Kylie Jenner admitted that right now, Kourtney Kardashian is her favorite sister. Guess she practices what she preaches. Kardashian has gone through her fair share of struggles recently with her ex, Scott Disick, and she's proven her incredible strength and resilience. The bold, strong color could be paying homage to how strong she has been lately. And that is the best possible reason of them all.